We were very excited when John Lewis invited us to perform as part of their Countdown to Christmas on 24 November 2013. We quickly decided on Amahl and the Night Visitors as the perfect choice. This was a new experience for us – we were essentially busking out in the Grand Arcade. 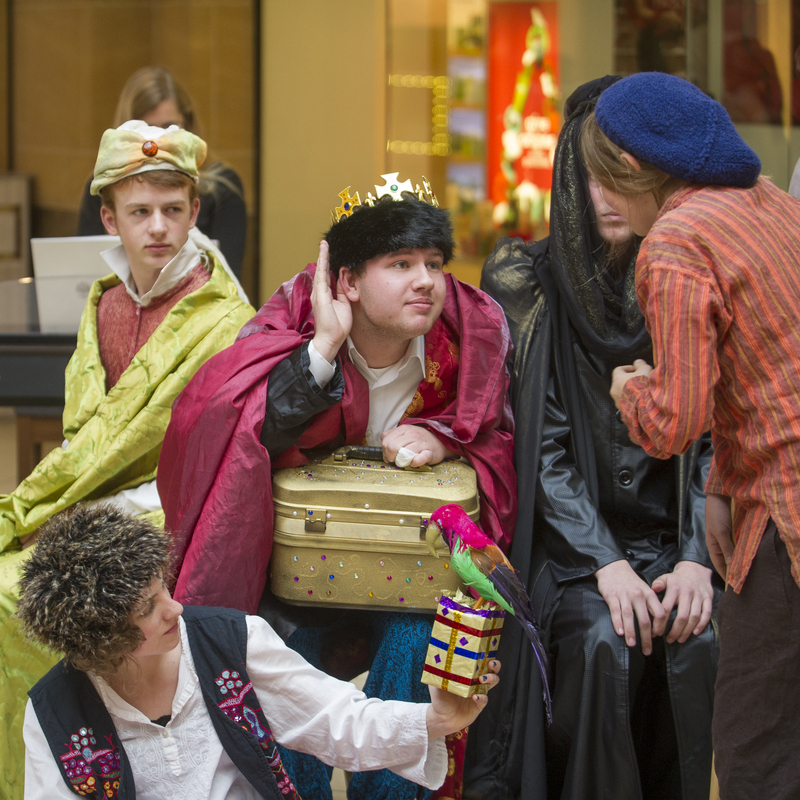 Our cast had to deal with the challenges of performing in a large, open space, in a busy shopping mall. We were also in new territory where the staging was concerned, with a tight performance space and no theatrical equipment to support us. More than ever, we depended on the emotional depth and vocal quality of the performers, supported by very simple, but eye catching staging, designed to attract the attention of passers by. The performances were a great success, attracting substantial audiences of all ages. On 02 December we performed as part of the Rotary Christmas Concert at West Road Concert Hall, where we were thrilled to receive a standing ovation. On 08 December we were again well received at St Augustine’s Church, completing a very successful run.